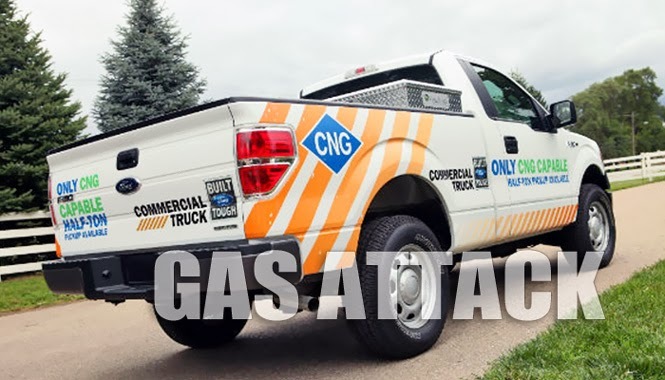 BRIGHTON, Mich. - The First CNG-capable 2014 F-150 truck rolled off the line this month, and now Ford has revealed plans to launch 8 new CNG vehicles by next year! While the vehicle currently available is a CNG-capable truck, Ford will offer a greater variety of vehicles with the alternative fuel option by the summer of 2014. For those that don't know, CNG stands for compressed natural gas and mainly composed of methane. This methane gas is a fuel that is clean-burning and inexpensive. The U.S. Environmental Protection Agency has estimated that CNG results in up to 30 percent less greenhouse gas emissions, making it a cleaner alternative to gasoline! It is because of this that many states offer tax incentives and rebates for vehicles that run off of CNG. PLUS, 85 percent of the CNG used in our country is produced here! With so much excitement revolving around making vehicles CNG-capable, Ford has revealed plans to launch 8 new CNG vehicles by next year. These vehicles will be the Transit Connect van and wagon; Transit Van, wagon, cutaway and chassis cab; E-Series van, wagon, cutaway and stripped chassis; F-Series Super Duty pickup and F-350 chassis cab; F-Series Super Duty chassis cab (F-450, F-550); F-650 medium-duty truck; F53 and F59 stripped chassis; 2014 F-150 light-duty pickup. With this variety of CNG-capable cars and trucks, Ford is on track to sell more than 15,000 CNG-prepped vehicles this year - a 25 percent increase from 2012! If you'd like to discuss your CNG options or go over the various vehicles that can help save you money on gas, stop by our dealership! We would be more than happy to help find you something that is fuel efficient and fun to drive. We are proud to be a Fowlerville Area Ford Dealer, as well as a Fowlerville MI Used Car Dealer. We offer a great selection of vehicles, all of which are available for you to view on our lot and online!